Renowned Tibetan freedom fighter Palden Gyatso passed away today morning after a prolonged illness. He was 85. He died at Delek Hospital in McLeod Ganj, surrounded by monks from Kirti Monastery, which has been looking after him for the past few years. Speaking to Tibet Sun, Kirti Monastery spokesman Losang Yeshe said that Gyatso had been suffering from a liver ailment for many months. He had been taken to some of the best hospitals in Delhi and New York City. He had an audience with the Dalai Lama about two months ago. In the last couple of months, he refused attempts by monks at the Monastery to take him to hospital in Delhi, saying he wanted to be at the monastery. Palden Gyatso was born in a village named Panam at the Nyangchu River between Gyantse and Shigatse in Tibet in 1933. At age ten he was enrolled at Gadong Monastery as a novice monk. He became a fully ordained monk when he was 18 — just as Tibet was in the midst of political upheaval due to Communist China’s invasion of Tibet. Later he studied in Drepung Monastery which is close to Lhasa. After the 1959 Tibetan uprising, Palden Gyatso was arrested by Chinese officials for protesting against the Chinese invasion. He spent 33 years in Chinese prisons and labour camps, where he was extensively tortured leading to irreversible physical damage. He fled to India after his release in 1992, and lived in McLeod Ganj, the exile base of the Dalai Lama and the Central Tibetan Administration. He is the subject of the 2008 film Fire Under the Snow, adapted from the book of the same name written and translated by Tsering Shakya. He remained active in the Tibetan freedom struggle up until his last breath. Even at an advanced age, he travelled the world raising his voice in various platforms for a free Tibet. Veteran freedom fighter palden Gyatsho will be sorely missed by one and all. God speed his return to earth once again to continue the fight for Tibet’s freedom from China. Czarina T. Choedon la, it is not compulsary to all Tibetans to be Buddhists. Hope u know, 21st century world citizen can be of any faith but i will remain loyal to our country Tibet. Country first, Religion is personal. Palden Gyatso was a colossus on the horizon of the Tibetan freedom movement. He endured the most barbaric cruelty history has few parallels. 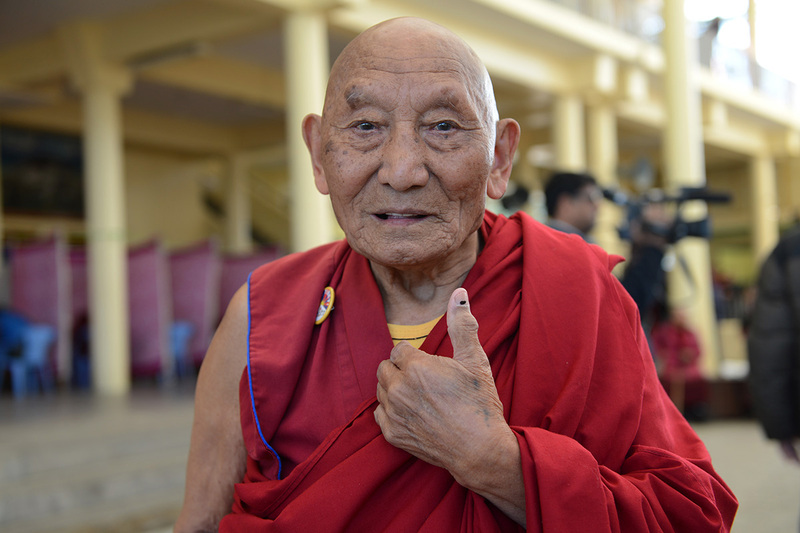 He held on to his deeply held beliefs even at the cost of his life – the freedom for Tibet. I was fortunate to meet him and be part of a speaking tour of the Tibetan Schools in South India way back in the early 1990s. He talked about the Chinese torture of ripping ones arms behind the back and then made to dangle upside down. The twisted arms had to carry the weight of the whole body which was so painful, one urinated and defecated uncontrollably. He talked of the unimaginable cruelty of shoving electric cattle prod into his mouth which made him unconscious with shattering pain. He lost all his teeth because of such unthinkable barbarism by the Chinese oppressors. The same electric prods were forced into the vaginas of teen-age nuns who were in Chinese prisons too. Despite such savagery, he never gave up but retained his steely resolve to one day tell the world of the atrocities the CCP fascists have committed on him and the Tibetan people. He secretly bought the very instruments of torture and sent them through brave Tibetans who were willing to risk life and limb to show to the world the depraved ways of communist China. He talked tirelessly to the audience who were mesmerised by his unbelievable bravery and sheer audacity in the face of such cruelty. The dream of exposing the world’s greatest killer regime who took away not only his innocence and thousands of other Tibetans and murdered 1.2 million fellow Tibetans in the most heinous crime humanity has ever witnessed. During his incarceration, many perished through starvation, many were killed through torture and many committed suicide owing to the abominable cruelty. May you be reborn as a Tibetan soon to carry forth the fight for Tibet. Thank you. I see fellow Tibetans commenting RIP (rest in peace) when someone dies. As I understand, according to our (Tibetan) belief system, a person does not get time to rest (in grave or in heaven) as they need to be on their way to the next life. We believe that after death, a person goes through the bardo, after which is reborn into any one of the 6 realms. RIP is a very non-Buddhist concept in my opinion.